1. Stackable organizer trays that can be configured to fit whatever space situation you're working with. Get a set of four from Amazon for $29.95. 2. A hanging organizer with 32 pockets and 18 loops, so you'll finally have enough room for all your adornments. 3. A bird rack for when you want to wing it with your wall decor. I have this and it's pretty sturdy. I spray painted it gold to match the rest of my decor and it looks very cute! 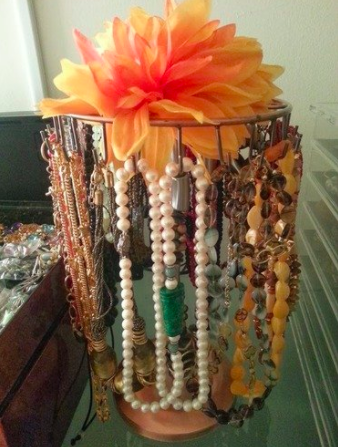 It's great because you can put rings on the bird heads/wings and hang necklaces and bracelets from the bar part. 4. Or a rack of different animals to make accessorizing feel like a safari. A cheetah, warthog, antelope, zebra, lion, hippo, and giraffe walk into a bar. Now they're stuck in it so you might as well hang stuff on their necks. 5. A contemporary jewelry stand that looks like you could have bought it at the Noguchi Museum gift shop. 6. A Loch Ness monster ring dish you can really believe in. Get it from Barruntando on Etsy for $28.23. 7. A three-tiered bracelet display that will rival the ones at the department store. 8. A mystic palm reader stand — we can see great organization in your future. 9. A geometric catch-all that's one part function and one part decor. Promising review: "I use this as a tray for my jewelry, perfume, and medicine and I absolutely love it! This is a fantastic value for the price — it's great quality and so reasonably priced! This makes me happy every time I look at it and I'd highly recommend it to anyone!" —Mel H.
10. A cork cactus stand so you'll make a *point* of keeping your rings and bracelets in one place. Thanks to the cork, you can jam studs into it too. 11. A rotating necklace rack that will have your jewelry — and heads — turning. Get it from Amazon for $15.99+ (available in two finishes). 12. A very long-necked giraffe you can accessorize with your many rings and bracelets. 13. A set of hexagonal shadow boxes so you can show off your trinkets. Get a set of three from West Elm for $32. 14. A mint grid wall mount for people with a ton of hanging earrings worth showing off. Get it from Amazon for $35.95 (also available in two other colors). 15. A celestial rack that will pull in your necklaces with its gravitational force (jk, it's the hooks). 16. The ring box with 50 small slots and four larger slots for all your rings and bracelets — or like, ok, most of them. 17. A stack of cats you can pile high with all of your witchiest jewels. Who said black cats were unlucky? 18. 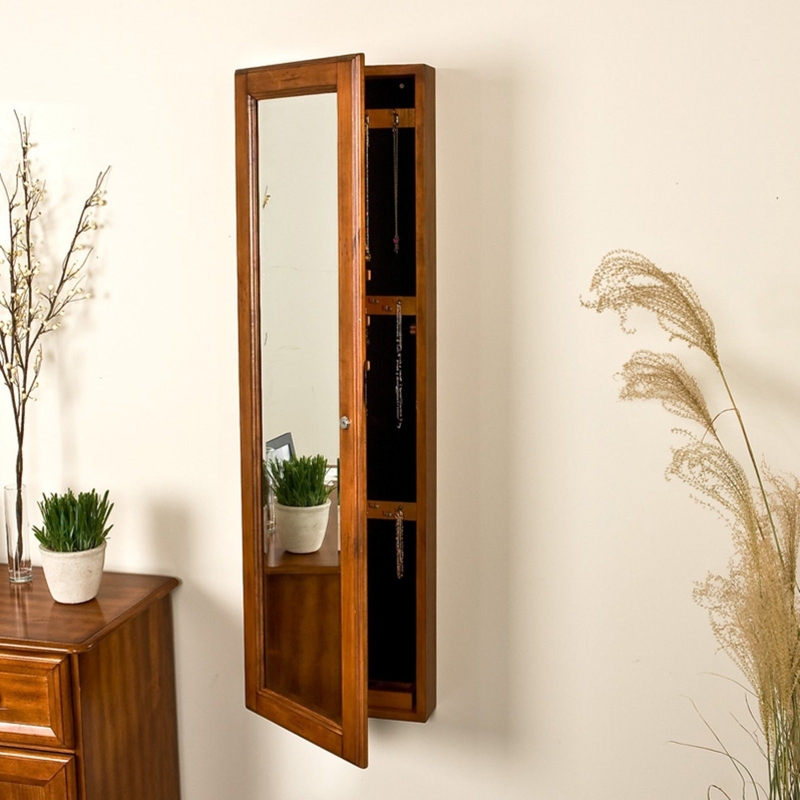 A mirror with a compartment inside to stash all your jewelry and valuables. Consider it a medicine cabinet for looking fabulous. Get the wall-mounted one from Walmart for $134 or a standing one from Amazon for $79.94. 19. 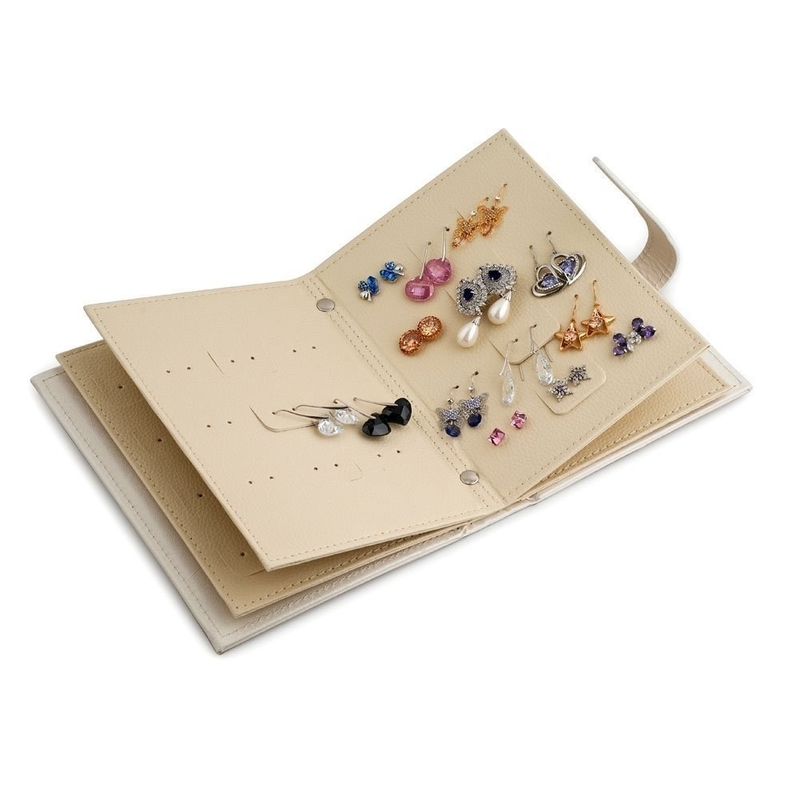 A multi-tasking shelf with hooks for necklaces and rings, two bars for scarves and watches, and holes for earrings. Get it from Amazon for $14.99+ (available in four styles). 20. An elephant ring holder so you never forget where your favorite bling is. Get it from Modcloth for $9 or Amazon for $9.98. 21. 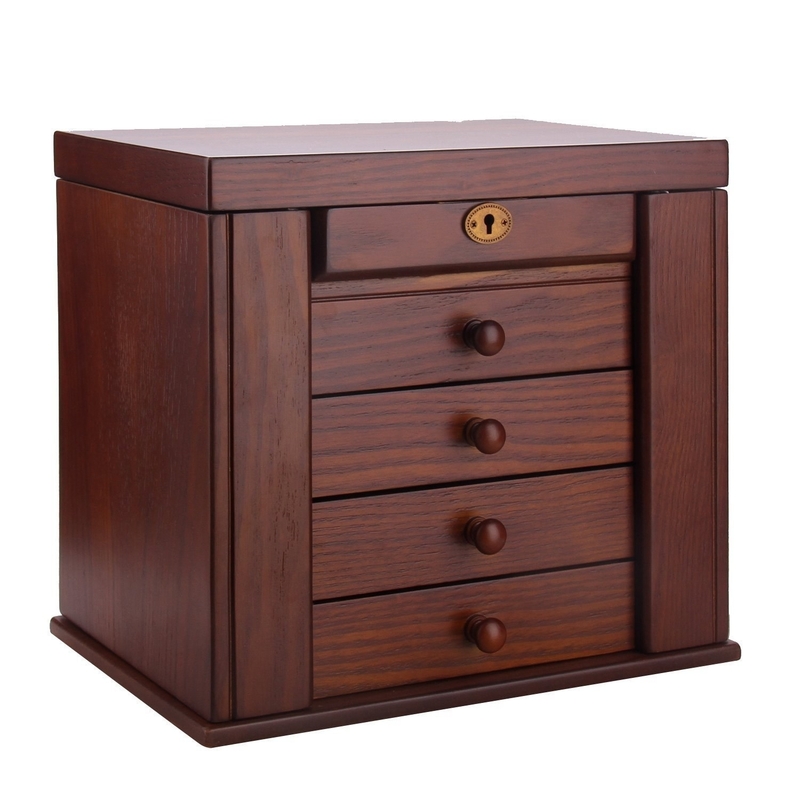 A fancy wooden, mini armoire with a lock, four drawers, doors with hooks, and spaces for rings. You'll end up buying more jewelry to fill this thing. Get it from Amazon for $89.99 (available in four colors). 22. An anti-theft organizer that looks like a dress so you can discreetly tuck it in your closet with the rest of your clothing. Get it from Amazon for $13.47 (available in two colors). 23. Or a sneaky journal you can fill with valuables for safely transporting jewelry on the go. 24. 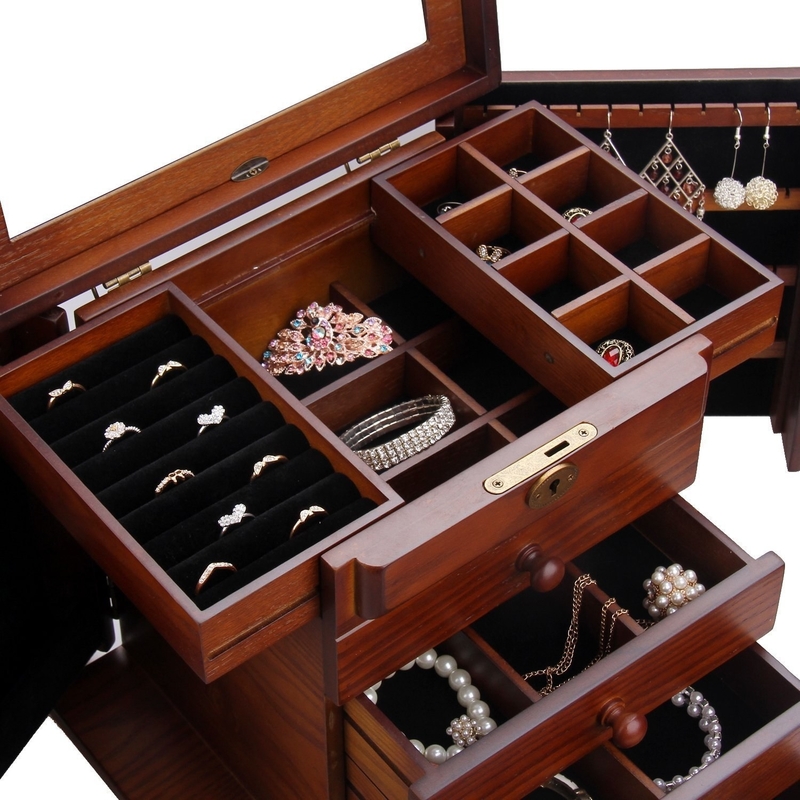 A set of jewelry trays to bring order to your chaotic drawers. Get a set of three from Amazon for $19.95 (available in two colors). 25. A mounted mirror with a shelf and frosted bracelet holder, so getting ready in the morning can be done in one stop. 26. A diamond glass box to show off the real gems of your collection. 27. 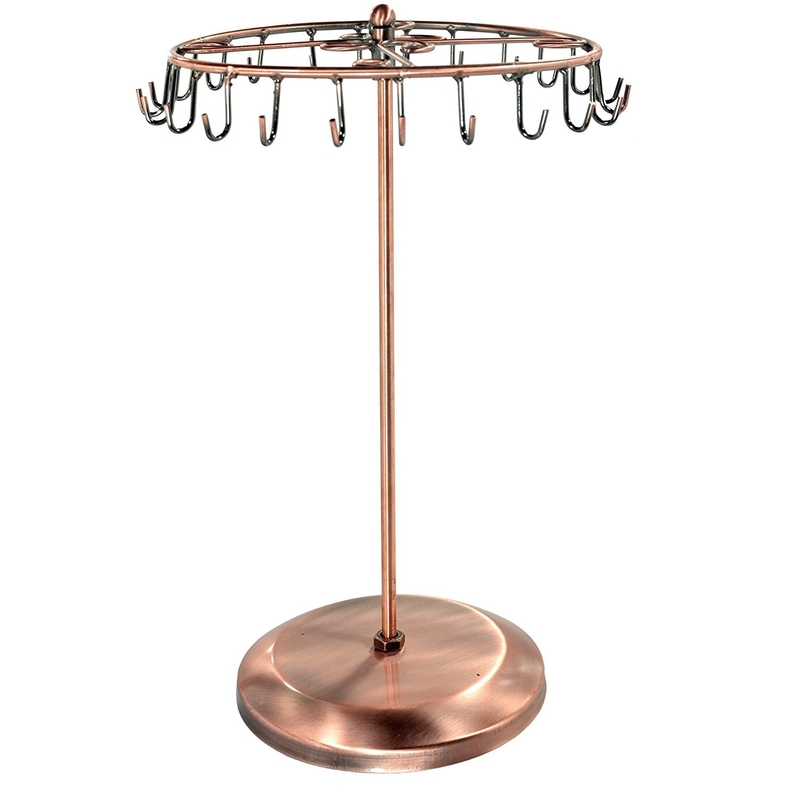 A rotating earring stand that will have you spinning right round, right round. 28. An elegant swan trinket dish to really class up your bedroom. Get it from Catbird for $32. 29. 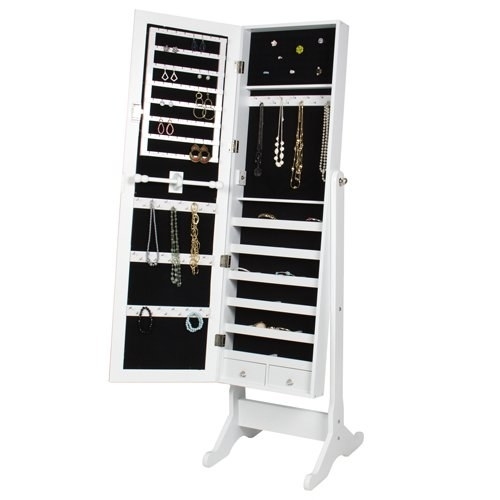 A folding acrylic screen for giving your jewelry some privacy from the other stuff on your dresser. Get it from The Container Store for $12.99. 30. And a Harry Potter-inspired holder shaped like a bird cage with a little Hedwig on top. "Where's my Hogwarts letter???" you can demand of the little metal bird every morning. It has 4 hooks for necklaces, 144 earring holes, and a catch-all dish. Get it from PBTeen for $99. "Ohhhh, so that's where I put that bracelet," —you, after you get your life in order.